For a long time, China has harboured ambitions to move 85% of its crude imports on Chinese controlled ships, which could have resulted in orders for up to 80 VLCCs. Fortunately for international shipowners, this has not yet been the case as the economic realities of tanker earnings have discouraged investment and Chinese charterers were not prepared to pay in excess of market levels to support such a programme, Gibson said in a report. Currently the number of VLCCs on order from Chinese controlled companies stands at around 30, with deliveries spread between now and 2017 at around 10 vessels per annum. These vessels were ordered by relatively few players, such as Associated Maritime, China Shipping, Cosco Dalian, Shandong Landbridge and Grand China. However, the forthcoming number of deliveries is well above those delivered recently, as just five were delivered in 2013 and eight in 2014 with Brightoil Petroleum and Petrochina among the recipients, in addition to those already mentioned above. Due to financial pressures, 2014 saw the amalgamation of the Nanjing Tankers and Associated Maritime Co’s fleets under the umbrella of China Merchants creating a large fleet of some 42 VLCCs (once all their 14 newbuildings are delivered) and seven Aframaxes. Interestingly in the VLCC period fixing frenzy of January 2015, the new entity was reported to have committed three VLCCs out on timecharter for two years to non-Chinese interests and has also chartered out three VLCCs to Trafigura for 12 months trading. Cosco has also fixed a VLCC to BP for 12 months, Gibson said. There seems to be a gradual relaxation of state control in some areas, which perhaps explains the Chinese controlled VLCCs being fixed in the international market. It appears that there is a desire to expand their trading partners rather than relying exclusively on Chinese charterers. This is also reflected in the refining sectors with licences being granted to independent refiners allowing for the import of crude oil. For example, ChemChina was granted a licence to import 200,000 barrels per day. Politically, the new Chinese premier has made it clear that he supports private commercial initiatives. There is also press speculation that that a merger maybe on the cards between CNOOC and Sinochem, and CNPC and Sinopec. While it is interesting to see some limited diversification of the Chinese shipping business model, there is no question that crude imports into the country will continue to increase, despite the slowing growth in domestic economic expansion. An expanding strategic petroleum reserve, more crude heading into commercial inventories and rising refining capacity will significantly lift crude imports, at least in the near term, Gibson concluded. Two Greek crew members and a Pakistani seafarer, taken hostage three weeks ago off the Nigerian coast in an attack on the VLCC ‘Kalamos’ , have been freed. Aeolos Management said in a statement on Wednesday that pending medical examinations the three men would be flown home to recover from their "traumatic experience." The company said that no details would be released on how the three men were freed, since "this might encourage further attacks and hostage taking" off West Africa. It expressed its "great sadness" over the death of the vessel`s Chief Officer in the 3rd February attack in the Gulf of Guinea. At the time, the VLCC was anchored and waiting to load for China at Qua Iboe oil terminal operated by ExxonMobil when it was boarded by the pirates. LONDON (Reuters) - Oil edged up on Thursday towards $62 a barrel as expectation of a coming recovery in global demand countered a further jump in U.S. crude stockpiles which underlined currently ample supplies. The U.S. government's latest supply report released on Wednesday said domestic crude inventories rose last week to 434.1 million barrels, hitting a seasonal record high for the seventh week. Brent crude LCOc1 rose 8 cents to $61.71 by 9.46 a.m. ET, after jumping more than 5 percent on Wednesday. U.S. crude CLc1 fell 96 cents to $50.03 following a more than 3 percent gain in the previous session. "At present, it would appear that Brent is bottoming out at $60 per barrel," said Carsten Fritsch, analyst at Commerzbank. "The renewed sharp rise in U.S. crude oil stocks ... points to a market that is still oversupplied." Brimming U.S. crude supplies are increasing the discount at which U.S. crude is trading to Brent. The spread CL-LCO1=R reached $11.81 on Thursday, the widest since January 2014. Brent collapsed in 2014, falling from $115 reached in June on global oversupply. The decline deepened after the Organization of the Petroleum Exporting Countries (OPEC) chose to defend market share against rival supply sources, rather than cut its own output. The price has rallied more than 35 percent from a near six-year low of $45.19 reached in January, supported by signs that lower prices are starting to reduce investment in U.S. and other non-OPEC supply. A growing number of OPEC officials are making cautiously hopeful comments on the demand outlook. This week, Saudi oil minister Ali al-Naimi said demand was growing, while a Gulf OPEC delegate said it would rise more strongly in the second half of 2015. OPEC officials including Naimi had been making more bearish comments. The Saudi minister was quoted in December as saying OPEC would not cut output even if oil fell to $20. "No more talk of $20 from al-Naimi," said Olivier Jakob, oil analyst at Petromatrix. "Analysts calling for $20 a barrel oil will be more shy now." President Obama on Tuesday followed through on his vow to veto bipartisan-backed legislation authorizing the Keystone XL pipeline, marking his first veto of the Republican-led Congress and only the third of his presidency. The president, in a brief statement, claimed the bill would "circumvent" the existing process for reviewing the pipeline, which would extend from Canada to Texas. The decision, while expected, was met with tough criticism from Republicans -- and tees up another showdown with Congress in the coming days as GOP leaders try to override. House Speaker John Boehner, R-Ohio, called the veto a "national embarrassment." McConnell's office said the Senate plans to vote on overriding sometime before March 3. But so far, congressional leaders have not demonstrated they have the votes to override, which takes a two-thirds majority in both chambers. The Keystone bill garnered 62 yeas in the Senate, but they would need 67 to override. In the House, the bill got 270 votes -- but they would need 281 to override. It remains unclear whether moderate lawmakers could be swayed to switch in the coming weeks. While Tuesday's veto marked only the third of Obama's presidency -- fewer than any U.S. president since the 19th century -- his sparing use of the presidential tool is likely to change. With Republicans now in control of Congress, their efforts to chip away at the president's health care law and other legislative accomplishments are just as likely to be met with Obama's veto pen. To date, Obama rarely has used the veto in part because Democrats for six years controlled at least one chamber in Congress -- acting as a buffer to prevent unwanted bills from ever reaching the president's desk. That buffer is now gone. A look back at past presidencies, especially where control of the White House and Congress was split during at least one point, shows far more liberal use of that presidential power. In the Clinton presidency, the president issued 37 vetoes in his two terms. President Ronald Reagan issued 78. President George W. Bush issued 12. His father issued 44. Not since the Warren G. Harding administration has the number of vetoes been in the single digits; Harding issued six. The Keystone bill is as contentious an issue as any for Obama to fire his first veto shot of the new Congress. 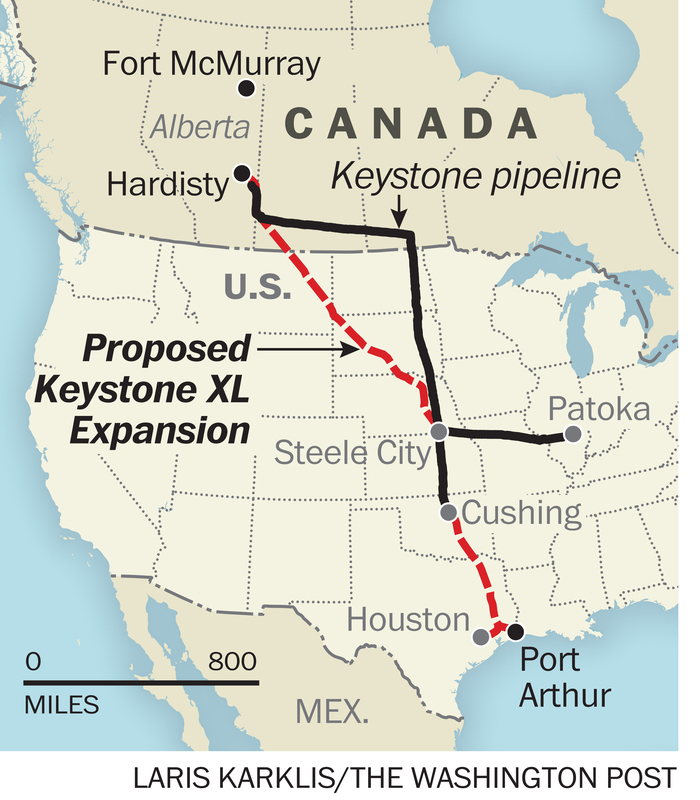 First proposed in 2008, the Keystone pipeline would connect Canada's tar sands to Gulf Coast refineries. The White House has said repeatedly it would wait to make its decision about whether to let the project go forward until after a State Department review. It regards the legislation as circumventing that process. The national average price for regular unleaded gasoline has increased for 28 consecutive days for a total of 27 cents per gallon, which is the longest streak of rising prices since last spring. Today’s national average price for regular unleaded gasoline is $2.30 per gallon. Motorists are paying five cents more than one week ago and 26 cents more than one month ago to refuel their vehicles. The year-over-year discount at the pump has narrowed in recent weeks but remains lofty by historic standards. After yearly savings widened to as much as $1.25 per gallon on January 26, motorists are now saving $1.11 per gallon versus this same date last year. Refineries are in the midst of conducting seasonal maintenance, a process that can limit fuel production and contribute to rising pump prices. In addition, there remains the potential for unexpected refinery problems to further impact production and cause temporary prices spikes in various regions. Last week an explosion at the ExxonMobil refinery in Torrance helped push up prices in California, while bitterly cold weather in the Northeast and Midwest led to a number of refinery problems in those areas. Ample domestic supply is expected to keep a ceiling on prices, though there is a good chance that prices will continue to rise this spring. Compared to the start of February when motorists in 25 states enjoyed average prices below $2 per gallon, drivers in just two states today are paying an average price below this threshold. For the second week in a row, motorists in Utah ($1.95), Idaho (1.95) and Montana ($2.01) are paying the least per gallon to refuel their vehicles. On the other end of the spectrum, Hawaii ($3.04) remains the nation’s most expensive market for retail gasoline and is the only state with an average above $3 per gallon. California ($2.95), Alaska ($2.61), Nevada ($2.55) and New York ($2.49) round out the top five most expensive markets. With the exception of Kentucky (-6 cents) and Illinois (-2 cents), most American drivers are paying a bit more to refuel their vehicles than a week ago. Prices have inched higher in 48 states and Washington, D.C. with four states registering increases of a dime or more per gallon: California (+16 cents), Nevada (+ 11 cents), Oregon (+11 cents) and Washington (+10 cents). The overall trend of rising prices is also apparent in two-week price comparisons, where the average price is up in 49 states and Washington, D.C. Drivers in more than half (27) of states are paying a dime or more per gallon. Hawaii (-1 cent) is the only state where the price has fallen over this two-week period. Month-over-month prices have jumped in 47 states and Washington, D.C. Consumers in 19 of these states are paying a quarter or more per gallon compared to one month ago, led by: California (+49 cents), Ohio (+43 cents), Michigan (+39 cents) and Illinois (+37 cents). Retail averages moved lower over this same period in three states and drivers in Hawaii (-23 cents), Alaska (-15 cents) and Vermont (fractions of a penny) are experiencing monthly savings at the pump. Rising pump prices are beginning to erode, but historic declines from September to January continue to mean significant year-over-year savings at the pump. The price for retail gasoline remains discounted in every state and Washington D.C., and consumers in 46 states and Washington, D.C are saving more than $1 per gallon, led by four states with yearly savings of more than $1.25 per gallon: Connecticut ($1.35), Colorado ($1.31), Utah ($1.29) and Idaho ($1.29). Global crude oil prices remain volatile, with markets continuing to seesaw and West Texas Intermediate crude oil last week posting its first weekly loss in a month. The balance between global supply and demand continues to weigh on prices, and despite U.S. production companies reassessing plans for exploration and production amid shrinking profit margins, domestic crude oil inventories climbed to record levels and output rose to its highest level since 1973, according to a Department of Energy report released last week. WTI closed last week at its lowest level since February 11, settling down 82 cents at $50.34 per barrel at the close of Friday’s formal trading on the NYMEX. WASHINGTON, (UPI) -- Growth in Canadian crude oil production is expected to slow by about 3 percent as oil prices weigh on future developments, industry leaders said. The National Energy Board in Canada said total crude oil production should average 3.8 million barrels per day in 2015. That's about 3.5 percent less than last year and, with oil prices expected to stay well below the $100 per barrel mark for the foreseeable future, drilling activity in Canadian basins should experience a 40 percent decline year-on-year. Bill Wall, a technical specialist at the NEB, told UPI there should be a slowdown in future production, though existing products should be sustained despite the low price for oil. "Oil sands production is expected to grow, as several projects will be ramping up or coming on stream in 2015," he said. Oil sand production in Canada exceeded conventional oil production beginning in 2010. The NEB in the past said it was monitoring crude oil prices as U.S. oil production gains push markets toward the supply side. Crude oil prices as a result are off about half of their June values, forcing energy companies to spend less on exploration and production. Canada's second-largest oil producer, Cenovus Energy, announced in January it was cutting its capital expenditures for 2015 deeper than originally planned. In December, Cenovus said it was trimming capital spending by 15 percent to $2 billion. With oil prices off roughly 30 percent since then, the company said it was cutting the projected spending again to around $1.5 billion. Kevin Brin, director of the Canadian oil sands division at consultant firm IHS, said in an interview most of the slowdown in Canada was, as the NEB suggests, the result of projects yet to be brought on stream. "The material impact of the deflation in crude oil prices on the oil sands will come from the delay of unsanctioned projects, which will primarily be felt after 2020," he said. "However, we are seeing large cuts that are impacting the service sector and I suspect we may see more in the coming months." There is about 1 million barrels per day in various stages of construction in the Canadian oil sands still expected to proceed to completion, he added. Nearly all of the oil exported from Canada heads to the U.S. market. While U.S. data show no shortage of demand for heavier grades of crude oil, the Canadian energy sector, particularly for light crude oils, would benefit from greater diversification to respond to the impact of U.S. shale oil, an agenda supported by the federal Canadian government. The world’s last surviving single-hull VLCC is set to make its final voyage to the breakers, market sources said this week. SBM is said to have sold the 265,000-dwt Alba (built 1989) “as is” in Labuan, Malaysia. Market experts are placing a price in the region of $10m on the vessel, which has been at anchor at the famous layup spot since June 2011. SBM purchased the ship as Albatross from Greek owner Dynacom in a $25m deal in April 2011, with the tanker slated for conversion into a floating production, storage and offloading (FPSO) unit. The scrap sale comes just a week after market speculation suggested the Alba, which was built by Hyundai Heavy Industries, was set for a final lease of life. Rumours were linking the vessel with a trading sale, with a view to securing a storage contract as traders exploiting contango in the oil price fixed a flurry of VLCCs. Storage has already offered a stay of execution to one VLCC this year, with Global Marketing Systems (GMS) fixing out the double-hull, 297,000-dwt Progress (ex-New Progress, built 1994) on a 12-month storage contract last month. That pact, described by tanker-market sources as a “great deal” for GMS, was priced at $36,000 per day. The cash buyer had bought the tanker from Greek owner New Shipping last October in a scrap sale. According to data from EA Gibson, the previous single-hull VLCC to be scrapped was the 282,000-dwt Southernpec 3 (built 1991). TradeWinds reported that vessel fetched $6.8m in March last year. The last single-hull VLCC sold for conversion, according to Gibsons, was the 284,497-dwt Front Lady, which today works as the offshore unit Petrobras 77. TORRANCE, Calif. (AP) - An explosion devastated a section of a major refinery on Wednesday morning, raining down ash in the area and, experts say, likely helping to increase California gas prices, which have been creeping up in recent weeks. A huge smokestack flare - in which workers were burning off flammable product after the explosion - could be seen for miles around. Four contractors suffered minor injuries as workers fled the site of the blast, according to Exxon Mobil Corp., which owns the refinery. The facility, a structure several stories tall, was shattered. Crews poured water onto the structure afterward, and a fire spokesman said at midday the situation was controlled. The blast happened in a recently installed processing facility, and the material involved was gasoline, Fire Department spokesman Steve Deuel said. The facility's flare system was triggered to burn off fuel that could add to the fire, Deuel said. Residents within a mile or two reported feeling a sharp jolt that they initially thought was an earthquake. Electrical contractor Cory Milsap-Harris, 21, was in a switch house next door to the blast site keeping an eye on three colleagues working 8 feet underground in a manhole. "Everything was going smooth. Next thing I hear sounded like heavy metal next door. There was a loud bang," he said. "You could feel the building shake a little." The blast reverberated in his ears despite the several layers of hearing protection he routinely wears, Milsap-Harris said. He rushed his co-workers outside, where people were running away from flames and black smoke. Brittney Davis, whose office is about a block from the refinery, says the blast sounded and felt like something had rammed her building. "The whole building shook. We couldn't figure out what it was, but we stepped outside the door and the flames were shooting up from the refinery," Davis said. "I could feel the heat from the flame." The refinery about 20 miles south of downtown Los Angeles covers 750 acres, employs over a thousand people, and processes an average of 155,000 barrels of crude oil per day and produces 1.8 billion gallons of gasoline per year, according to Exxon Mobil. It accounts for about 8.3 percent of the statewide total capacity, according to state officials. The four contractors were taken to a hospital for evaluation, company spokesman Todd Spitler said. The refinery sent many workers home for the day. Spitler said the cause of the explosion was under investigation, and company officials were working with local agencies. Nearby roads were closed after the blast hit, shortly before 9 a.m., Torrance police Sgt. Paul Kranke said. Students at 13 nearby schools were kept indoors, said Tammy Khan of the Torrance Unified School District. The state Division of Occupational Safety and Health is leading the investigation, which can take six months to complete. Cal-OSHA inspectors shut down a fluid catalytic cracking unit - a device used in refining oil - where the accident was thought to have occurred, said Erika Monterroza, a spokeswoman for the California Department of Industrial Relations. The South Coast Air Quality Management District issued a smoke advisory for areas surrounding the refinery, and it dispatched inspectors to the facility with air sampling equipment. A representative from the U.S. Environmental Protection Agency was also on scene. Exxon Mobil said no harmful emissions were detected by its air quality monitors on the refinery fence line. Gas prices in California have been inching up even before the Exxon Mobil accident. It's the second refinery in the state to have service interrupted. A Tesoro refinery in Northern California - which accounts for about 9.2 percent of the state's total refining capacity - that was running at half speed was shut down earlier this month after the contract with the United Steelworkers union expired. Experts said California residents can expect to pay more at the pump. 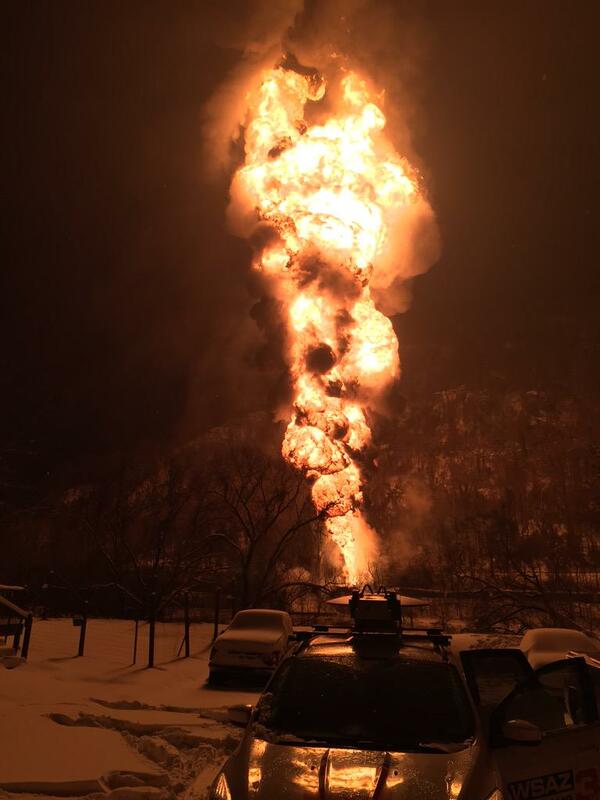 MOUNT CARBON, W.Va. (AP) - Fires burned for hours Tuesday after a train carrying 109 tankers of crude oil derailed in a snowstorm alongside a West Virginia creek, sending fireballs into the sky and threatening the nearby water supply. Hundreds of families were evacuated and two water treatment plants were shut down after dozens of the cars left the tracks and 19 caught fire Monday afternoon, creating shuddering explosions and intense heat. Part of the formation hit and set fire to a house, and one person was treated for smoke inhalation, but no other injuries were reported, according to a statement from the train company, CSX. "It was a little scary. It was like an atomic bomb went off," said David McClung, who felt the heat at his home about a half-mile uphill. He said one of the explosions sent a fireball at least 300 feet into the air. Fire crews had little choice Tuesday but to let the tanks - each carrying up to 30,000 gallons of crude - burn themselves out. The train was carrying volatile Bakken crude from North Dakota's shale fields to an oil shipping depot in Yorktown, Virginia, using model 1232 tank cars, which include safety upgrades voluntarily adopted by the industry four years ago, the Federal Railroad Administration confirmed. However, a series of ruptures and fires in recent derailments involving model 1232s has the National Transportation Safety Board questioning their safety as well, and the Department of Transportation has drafted new standards being reviewed by the White House budget office. All but two of the 109 cars were tankers, and 26 of them left the tracks, the governor's spokesman Chris Stadelman said. Some tank fires were still on fire late Tuesday morning, but federal investigators were allowed to get within 50 yards of the derailed cars, and Appalachian Power crews were cleared to repair a line and restore electricity to about 900 customers. The cause was not immediately known. Snow was falling heavily Monday - as much as 7 inches in some places - but it's not clear if the weather had anything to do with the derailment, which happened about 1:20 p.m. about 30 miles southeast of Charleston. The West Virginia National Guard was taking water samples to determine whether oil seeped into Armstrong Creek, a tributary of the Kanawha River. So far, "we haven't been able to determine how much, if any, crude oil made it into the river," but there were no reports of a sheen so far, state Environmental Protection spokeswoman Kelley Gillenwater said. CSX contractors also were monitoring the air for pollution linked to the fires, and federal railroad and hazardous materials officials were probing the accident, which prompted Gov. Earl Ray Tomblin to declare a state of emergency. All but two of the 109 cars being hauled were tanker cars, and 26 of them left the tracks, the governor's spokesman Chris Stadelman said. But contrary to initial reports by responders at the scene, none of the tankers went into the water, state public safety division spokesman Larry Messina said early Tuesday. West Virginia American Water shut down a water treatment plant about 3 miles downstream, spokesman Laura Jordan said. Another water plant downstream in the town of Cedar Grove also closed its intake but later resumed operations, Messina said. The lack of water forced West Virginia University Tech in nearby Montgomery to cancel classes for the rest of the week. About 85 displaced residents went to shelters set up by CSX and the American Red Cross, Messina said. The U.S. Transportation Department has advocated tougher safety regulations for rail shipments of crude after a series of fiery train crashes, including one in Lynchburg, Virginia. If approved, they would phase out tens of thousands of the older tank cars increasingly carrying highly flammable liquids along waterways and through towns. Contributors include Pam Ramsey in Charleston, West Virginia; and Joan Lowy in Washington, D.C. Mattise reported from Charleston. U.S. economic growth has averaged 2.3 percent a year since the recovery started in mid-2009. That's about half the rate you might expect in a rebound from the deepest recession since the 1930s. Meanwhile, growth in China is slowing, is minimal in the euro zone and is negative in Japan. Throw in the large increase in U.S. vehicle gas mileage and other conservation measures and it’s clear why global oil demand is weak and might even decline. Something else figures in the mix: The eroding power of the OPEC cartel. Like all cartels, the Organization of Petroleum Exporting Countries is designed to ensure stable and above-market crude prices. But those high prices encourage cheating, as cartel members exceed their quotas. For the cartel to function, its leader -- in this case, Saudi Arabia -- must accommodate the cheaters by cutting its own output to keep prices from falling. But the Saudis have seen their past cutbacks result in market-share losses. So the Saudis, backed by other Persian Gulf oil producers with sizable financial resources -- Kuwait, Qatar and the United Arab Emirates -- embarked on a game of chicken with the cheaters. On Nov. 27, OPEC said that it wouldn't cut output, sending oil prices off a cliff. The Saudis figure they can withstand low prices for longer than their financially weaker competitors, who will have to cut production first as pumping becomes uneconomical. Furthermore, the price when producers chicken out isn’t necessarily the average cost of production, which for 80 percent of new U.S. shale oil production this year will be $50 to $69 a barrel, according to Daniel Yergin of energy consultant IHS Cambridge Energy Research Associates. Instead, the chicken-out point is the marginal cost of production, or the additional costs after the wells are drilled and the pipes are laid. Another way to think of it: It's the price at which cash flow for an additional barrel falls to zero. Last month, Wood Mackenzie, an energy research organization, found that of 2,222 oil fields surveyed worldwide, only 1.6 percent would have negative cash flow at $40 a barrel. That suggests there won't be a lot of chickening out at $40. Keep in mind that the marginal cost for efficient U.S. shale-oil producers is about $10 to $20 a barrel in the Permian Basin in Texas and about the same for oil produced in the Persian Gulf. BISMARCK, N.D., Feb. 16 (UPI) -- Though December oil production was at an all-time high, rig activity in North Dakota is on the decline, state data released Monday show. The North Dakota Industrial Commission reported 137 active drilling rigs in service in the state as of Monday, a 26 percent decline from the same date in 2014 and 31.5 percent less than the historic peak reached in 2012. The rig count for Monday is the lowest in five years. Oil prices have declined to the point that most energy companies have enacted staff reductions and cut back on spending plans for exploration and production for 2015. The slump in oil price is a reflection of a market skewed toward the supply side because of production from states rich in shale reserves, like Texas and North Dakota. Fewer rigs in service could lead to a decline in oil production. State data from the end of January, when oil prices were at a low-water mark, show 156 rigs in service in North Dakota. The slowdown in rig activity, however, has yet to show up in production figures. State data from November show 1.18 million barrels per day worth of production. For December, data show 1.2 million bpd produced, a new all-time high for North Dakota. More than 90 percent of the production comes from the Bakken and Three Forks shale region of the state. The NDIC said in its monthly report the low price of oil is "by far the biggest driver behind the slow-down" in rig activity in the state. In the Williston basin, which hosts parts of Bakken and Three Forks, the rig count "has fallen rapidly," the report said. North Dakota is the No. 2 oil producer in the nation behind Texas. A pump jack is seen at sunrise near Bakersfield, California October 14, 2014. LONDON (Reuters) - Oil rose above $60 a barrel on Friday for the first time this year, bringing gains this week to almost 4 percent, supported by signs that deeper industry spending cuts may curb excess supply. Apache Corp (APA.N), a top U.S. shale oil producer, said on Thursday it would cut capital spending and its rig count in 2015 following the price collapse, keeping its output growth mostly flat. Brent for April delivery LCOc1 was up $1.90 at $61.18 by 1435 GMT (09:35 a.m. EST), having traded at a high of $61.77 earlier in the session. The March contract expired overnight. U.S. crude CLc1 was up $1.55 at $52.76. "During the last weeks, crude oil rebounded, driven by improved market sentiment and by expectations that low prices will lead to lower supply growth in 2015," Daniela Corsini, an analyst at Intesa Sanpaolo, said in a report. Besides Apache's update, Royal Dutch Shell's RDSA.L chief executive said on Thursday supply might not be able to keep up with growing demand as companies reduce budgets, and France's Total (TOTF.PA) announced investment and job cuts. Demand for OPEC's crude oil will grow this year, the world's biggest energy agencies forecast this week, after cartel chose to maintain market share and not reduce output to combat falling oil prices. The International Energy Agency and the Organization of the Petroleum Exporting Countries have raised by at least 200,000 barrels per day (bpd) their estimates of demand for OPEC crude in 2015. The U.S. government's Energy Information Administration forecasts OPEC will pump 140,000 bpd more. Still, analysts at JBC Energy in Vienna said in reference to Apache's moves that spending cuts can easily be reversed. "While the company expects North American onshore production to be flat this year, they emphasize their flexibility to come back very quickly if the price environment or the cost structure changes sufficiently," JBC said. "This is generally what makes most people doubt that the latest rally can be sustained." A weaker U.S. dollar, which makes dollar-denominated commodities cheaper for holders of other currencies, has also supported oil this week, analysts say. U.S. Rep. Joe Barton, R-Texas, led the introduction of a bill to remove the decades-old ban on U.S. crude oil exports. House Resolution 702 would remove the restrictions, freeing U.S. oil producers to ship their product to overseas markets. Much has changed since the export ban was put in place in the 1970s, mainly the ability to extract oil from shale using hydraulic fracking. With the current oversupply of oil and precipitous drop in crude oil prices, it's no surprise that Barton and other mostly Texas lawmakers are pushing to lift the ban again. Seems like a no-brainer to jumpstart a suddenly sluggish energy industry, right? Not so fast. Much like the argument against increasing the export of natural gas, there's concern about a widespread export of crude oil derailing efforts to make the United States energy independent. Putting domestic crude oil on the international market hurts refineries and could put pressure on fuel prices. Removes all restrictions on the export of crude oil and prohibits the federal government from imposing or interfering in that endeavor. Requires the U.S. Secretary of Energy to conduct a study on the appropriate size and purpose of the Strategic Petroleum Reserve. This is separate from the tiny exception made for the export of condensate, an ultra-light oil that requires minimal processing. Irving-based Pioneer Natural Resources (NYSE: PXD) and other companies are taking advantage of that now. 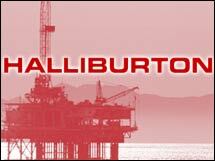 (Bloomberg) -- Halliburton Co. is cutting as much as 8 percent of its global workforce of more than 80,000 as it confronts the collapse of oil prices and brings job reductions more in line with its largest competitors. The world’s second-largest oilfield services company, which announced general plans to boost dismissals last month, expects to reduce its workforce by 6.5 percent to 8 percent, according to an e-mailed statement Tuesday. The reductions include the company’s previous announcement in December of 1,000 cuts in the Eastern Hemisphere, Emily Mir, a spokeswoman said in the statement. The oilfield services industry, which helps explorers find and produce oil and natural gas, has been the first to feel the effects of the price collapse. Oil companies have slashed spending in the past quarter after crude plunged more than 50 percent since June as U.S. production surged and the Organization of Petroleum Exporting Countries resisted output cuts. Schlumberger Ltd. has announced cuts of 9,000 jobs and Baker Hughes Inc. has reduced 7,000 positions. Weatherford International Plc has announced 8,000 dismissals. To contact the editors responsible for this story: Susan Warren at susanwarren@bloomberg.net Carlos Caminada, Jim Efstathiou Jr. The average price of a gallon of gasoline in the United States rose 13 cents in the past two weeks, following a nine-month price slide, due to a rise in the price of crude oil, according to the Lundberg survey released Sunday. Regular grade gasoline rose to an average price of $2.20 per gallon, according to the survey dated Feb. 6, up from the previous survey on Jan. 23. A customer puts gas into a vehicle at the U-gas station gas prices continue to drop in Miami, Florida. Gasoline is still down $1.10 a gallon from the same period a year ago, a decline driven by losses in the crude oil market from its June peak. But with crude oil prices rebounding in recent weeks, U.S. consumers can expect to pay more at the gas pumps, said survey publisher Trilby Lundberg. Read MoreWhere are oil prices headed from here? "Crude oil hit a bottom and has had a moderate rebound that has worked its way partially to the gas pumps," Lundberg said. "We can expect a few more pennies of that waiting in the wings." On Friday, Brent crude futures closed up at $57.80, about 19 percent higher than two weeks ago, marking the best fortnight since 1998. U.S. crude closed up $1.21, or 2.4 percent, at $51.69. The highest gasoline price within the survey area in the 48 contiguous U.S. states was recorded in San Francisco at $2.59 per gallon. The lowest price was in Tucson, Arizona, replacing Albuquerque, New Mexico from the last survey, at $1.82 per gallon. 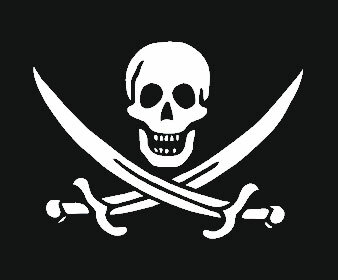 Pirates have hijacked a Maltese flag VLCC off the Nigerian coast, taking three hostages and killing the vessel's Greek deputy Master, according to the Greek coastguard. Aeolos Shipmanagement’s ‘Kalamos’ was reportedly anchored waiting to load at Qua Iboe oil terminal operated by ExxonMobil, when it was boarded on Tuesday. She had arrived from China in ballast. Two of the three hostages are Greek. ‘Kalamos’ had a crew of 23 on board at the time of the hijacking. "The foreign and shipping ministries have taken the necessary actions for the rescue of the hostages," Greece's Deputy Shipping Minister, Thodoris Dritsas said in a statement. Greece's shipping ministry also said that the rest of the ship's crew was safe. According to maritime security consultancy NYA, the attack on the VLCC raises new concerns about the capability of local security agencies and could lead to further calls for changes to maritime security legislation in the region. This latest incident continues a disturbing new trend in the modus operandi of pirate cells operating in Nigeria. Since the beginning of 2015, there has been a high level of violence against targeted vessels, with three armed forces personnel and one police officer killed in separate incidents, the consultancy said. The attack also raises concerns over the effectiveness of the Nigerian Navy (NN) and Nigerian Maritime Administration and Safety Agency (NIMASA). Currently, the NN operates as the near sole authority in respect to maritime protection. In the light of this latest incident companies are likely to continue lobbying for changes to legislation pertaining to maritime security; specifically pushing for authorisation of armed private maritime security companies (PMSCs), NYA said. Nobody wants to be the bearer of bad news. Nobody wants to crush people's dreams. But in the world of investing, cold, hard facts, not dreams, are what make you money. And the fact of the matter is, historically speaking, buying gold is the worst possible investment you can make. I am very sensitive to the fact that what I just said has probably caused some readers to go apoplectic, and for that I apologize. I know that I will never convince the gold bugs, inflation hawks or doomsday preppers of this thesis, nor my own personal position that gold will eventually be worthless. But for the rest of you, let me lay out the case to avoid gold as an investment. In his seminal book "Stocks for the Long Run," renowned economics professor Jeremy Siegel looked at the long-term performance of various asset classes in terms of purchasing power -- their monetary wealth adjusted for the effect of inflation. With a $1 investment each in stocks, bonds, T-bills and gold, beginning in 1802 and ending in 2006, Siegel calculated what those assets would then be worth. Stocks were the big winners, growing the initial dollar investment into $755,163. Bonds and T-bills trailed dramatically, returning only $1,083 and $301 respectively. But the big surprise was in how badly gold fared during that time, only growing to $1.95. In addition to its miserable historical performance, gold also has many other failings as an investment, not least of which are the cumbersome and inefficient options available to own it and the prevalence of less than reputable salespeople in the precious metals space. Owning physical gold in the form of bullion has many drawbacks. Wide bid and ask prices on physical gold ensure that the moment you purchase it you are already underwater on your investment. In addition, shipping costs for the heavy metal will further add to your cost basis. Once you get your gold, you then have to decide how to store it. Keeping it at home exposes it to the risk of theft, fire or natural disaster. Taking it to the bank requires the rental of a safe deposit box, the cost of which will eat into your profit as well. Firms will store your physical gold on site, but they charge for the service, and the idea of having your yellow treasure held by someone somewhere else, commingled with that of others, is not very appealing. So what about the various gold ETFs –- most notably the SPDR Gold Trust (GLD)? Aren't they a cheap and easy way to own gold? The short answer is "no." The idea behind these ETFs is to give investors a way to buy and sell gold as simply as they would a stock. But the problem is that when you buy GLD or any other gold ETF, you are not buying physical gold. Instead, you own an asset –- shares of the ETF –- that are backed by gold. And where is this gold? Good question. All the gold that backs GLD is allegedly held in HBSC (HSBC) vaults in an undisclosed location in London. How much gold is there? Nobody actually knows, and investors have to take the word of the trustee, Mellon Bank of New York (BK) that halfway across the world, enough bullion sits in these vaults to cover GLD's liability. However, no matter how much gold it holds, there are no redemption rights by shareholders, meaning you cannot exchange your ETF shares for physical gold. In addition, the physical gold is not required to be insured, which means the trustee is not liable for loss, damage, theft, or fraud. Not too reassuring is it? Despite all the points I have outlined so far, the fail-safe that most gold enthusiasts assert is that in cases of hyperinflation or global crisis, gold will retain –- and even increase –- its value, which far outweighs its other investment risks. But the problem with that thesis is that the U.S. government has the right, any time it wants, to confiscate gold owned by private individuals. And there is historical precedence. In 1933, when Franklin Roosevelt came into office, he issued the Emergency Banking Act, which required all those who held gold to turn it into the government via approved banks. The citizenry was given 30 days to comply with this order and were paid the current spot rate of $20.67 an ounce. Roosevelt allowed some exceptions, such as personal jewelry and collectables, but that was done at his discretion, and there is no guarantee that there would be any exemptions in a future confiscation. And what would be the point of having gold to protect against a catastrophic event if the government can just seize it? Ultimately, gold is a legacy investment vehicle from a time before mass communications, ease of global travel, and the internet. It no longer is the default store of value that it once was, and financial and technological advances have made it an investment best suited for collectors and hobbyists, but certainly not for serious investors. So far in 2015, the buzzword on Wall Street is oil. The sudden drop in prices last summer extended through January, before rallying 20% the past 4 days (it’s down 3% again today). “Oil” mentions litter the pages of Q4 earnings reports. Economic forecasts run on about cheap gas prices and the impact on consumers. Everyone wants to know, needs to know, what’s next for the world’s favorite fuel. But that’s the problem – no one really knows. Charles Schwab Chief Strategist Liz Anne Sonders replied, simply, “I don’t know,” when we asked her if the recent rally in crude means we’ve hit a bottom. She went on to site several reasons for, and against, the argument that a bottom is here (or near). Number one in Sonders reasons for why a bottom might be here (or near) is the steep decline we’ve seen in rig counts. “In the past, when we’ve seen the rig count drop by 20-25% in this span of time, you were close to a bottom in oil,” she said. As Yahoo Finance Editor-in-Chief Aaron Task pointed out, a lot of that was wildcatters closing down their rigs. “You recently got into steep contango,” pointed out Sonders. For the un-commodity savvy, contango is when the price of further-dated futures contracts are higher than shorter-dated contracts. For example – contango occurs if the price of oil for March delivery is cheaper than contracts with April delivery. “We’re in bull market territory with the rebound,” mused Sonders. Even though oil prices are, overall, still down some 50% since June, the 20% rally of the last few days has technically put us in bull market territory. “It does remind me a little bit of the Nasdaq circa 2000, 2001 where you would have these ferocious rallies and people would say, ‘That’s it, the bottom’s in,” and then of course you were heading back into the soup on the way to 2000,” said Task. Sonders also pointed out that oil bottoms tend to be V-shaped. “When you do find a bottom in oil, unless this is a very different environment, they don’t tend to be either Ls or kind of choppier elongated bottoms,” she said. But that doesn’t mean the Vs are totally balanced – the right side rally may not recover all of the original price. “Production is still at a record, which I think the people who do attempt to forecast oil price tops or bottoms probably would point to, the fact that production is still at an all-time high as maybe a reason why we haven’t quite hit bottom yet,” Sonders said. If you’re trying to play the market, Sonders' best advice is to keep your portfolio at market weight. “It’s maybe still too soon to buy, but probably too late to sell,” she said. PricewaterhouseCoopers (PWC), the international audit firm appointed by the federal government to undertake a forensic report on the alleged unremitted oil revenue by the Nigerian National Petroleum Corporation to the Federation Account, finally submitted its report to the presidency on Monday in Abuja. In a brief ceremony witnessed by the Auditor General of the Federation, Mr. Samuel Ukura, President Goodluck Jonathan, who received the report from the firm's Country Senior Partner, Mr. Uyi Akpata, expressed delight that the report was finally out, adding that it would go a long way in bringing to an end the controversy over allegations on "stolen funds" in NNPC. He described the reports in some newspapers as ridiculous, adding that the kind of figures that he could not even believe Nigeria were being bandied as missing funds. He said the Auditor General would look at the report and present key highlights of it to the public within one week. "There has been so much of controversy over NNPC and leakages or no leakages. I remember the Senate had also looked into it, so it is also good that you professionals have also looked into it. "What appeared in the papers and speculations were also very high. In fact, figures that I cannot even imagine the country would make were being bandied in the newspapers. "So I am quite pleased that you have undertaken the forensic audit. Though it is voluminous, I will give it to the professionals. "In government work, there are people that have the statutory responsibilities to handle such assignments, which is the auditor general of the federation. "So the auditor general will look at it and within the week, let us know the key highlights because the media would want to know the key findings vis-a-vis the Senate findings and figures being bandied around in the newspapers, because Nigerians are interested in this information," Jonathan said. The president also said his administration was committed to reforming the oil sector with the Petroleum Industrial Bill (PIB), which is still before the National Assembly. "Indeed you mentioned the issue of reform in the sector and everybody knows that the sector needs to be reformed. By the time we go through the Petroleum Industry Bill and pass it into a law, most of these lapses will be corrected and the misconceptions will be properly addressed," he said. Jonathan thanked PWC for its work and expressed confidence that the report will help to move things forward and set the records straight, promising to handle the recommendations of the report decisively. Jonathan also allayed fears over the country's finances, disclosing that PWC had offered to submit an interim report, which he rejected and insisted that a comprehensive forensic audit must be submitted. "I hope we will not call you back, but where need be, we will call you back if there are issues that are not so clear. But we are happy with what you have done so far "I assure you that this is a precious document that the accountant general will keep and I will have my own copy, because even after I leave office and I need to write my memoirs, I will use some part of it," he said. The federal government had appointed PWC early last year to undertake a forensic audit of the finances of NNPC after the former CBN Governor (now Emir of Kano), Alhaji Muhammadu Sanusi II, had written a letter to Jonathan over the non-remittance of $49.8 billion to the Federation Account by the corporation between January 2012 and July 2013. 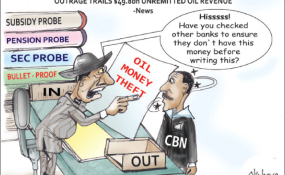 The revelation, which led to an uproar among Nigerians and Sanusi's eventual suspension as the CBN governor, forced the federal government to appoint the audit firm to audit the NNPC. Before his ouster, however, Sanusi revised the amount, which he said had not been remitted by NNPC from $49.8 billion to $10.8 billion and later to $20 billion. Meanwhile, crude oil prices rose yesterday as investors ignored the industrial action by workers of refineries in the United States of America (US) and bought more crude oil in anticipation of lower production, following a fall in the US rig count. But the member countries of the Organisation of Petroleum Exporting Countries (OPEC) have remained cautious, saying that prices may stay depressed until summer due to weak seasonal demand. They however believed that Saudi Arabia's strategy of curbing the output growth of rival producers in the US, Canada and Russia might have started achieving tangible results. Oil prices had on Friday closed above the 20-day moving average for the first time since July 2014 and with the US rig count falling sharply, signaling lower production down the line, investors felt that it was an opportunity to buy more crude. Reuters also reported that Brent crude futures were up 50 cents at $53.50 a barrel, after leaping as high as $55.62 and dipping as low as $51.41, as the bulls battled with the bears. Similarly, US crude (West Texas Intermediate) was up 55 cents at $48.79 a barrel, after touching an intraday high of $50.56 and slumping to $46.67. Brent crude speculators raised their net long positions by 1,056 contracts to 143,039 in the week to January 27, as some investors took the view that the oil price was beginning to bottom out.